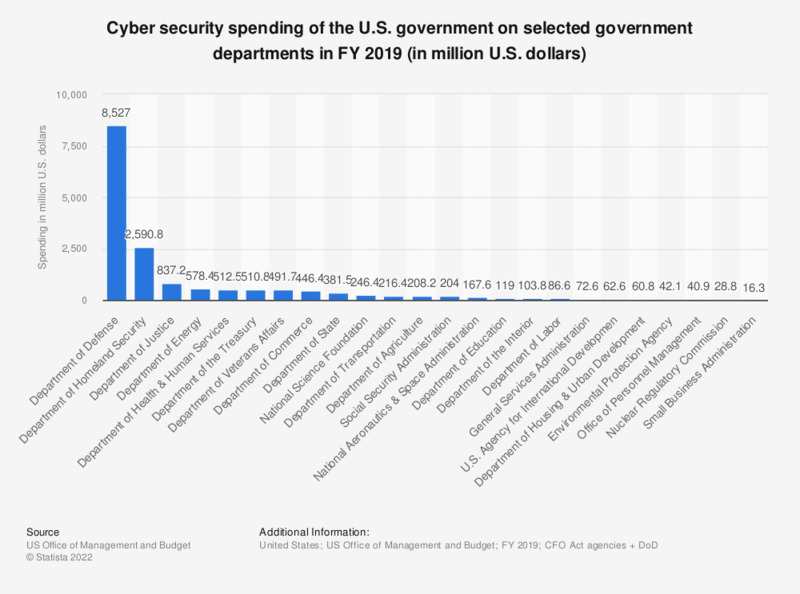 This graph shows the annual civilian cyber security spending of the selected departments of the U.S. government during the fiscal year 2017. In the most recently reported period, the Treasury Department spent 458.35 million U.S. dollars on relevant security investments. Total FY 2017 civilian CFO Agency cyber security spending amounted to 5,6 billion U.S. dollars.